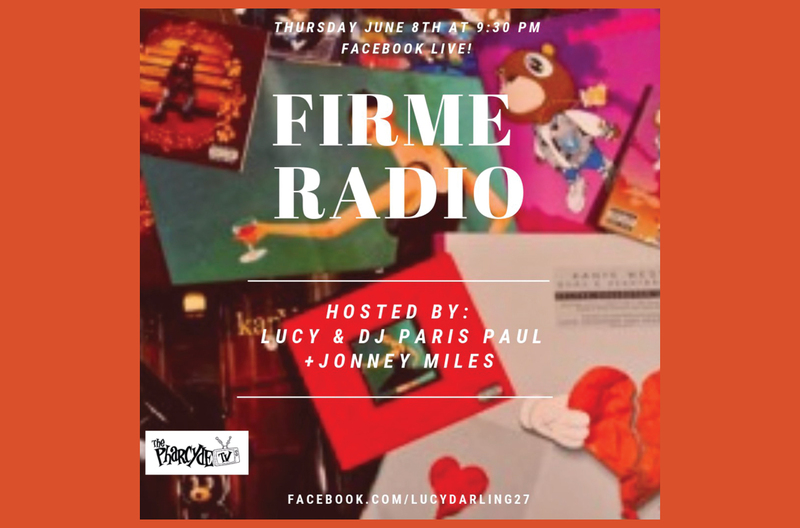 Join us tonight for another episode of #FirmeRadio w/ @lucydarling27, @djparispaul & @djjonneymiles on the turntables. Tonight we’ll be #broadcasting live starting at 9:30pm PST via Lucy’s FB. (Facebook.com/lucydarling27). We got tons of topics to talk about in the #hiphopheadlines , plus it’s Yeezy’s bday so you know we gotta bump some of our favorite Kanye tracks!